An NPC who appears in 4 Goddesses Online. is a Royal Geist, also known as a Guardian Spirit, who protects the order of Alsgard. 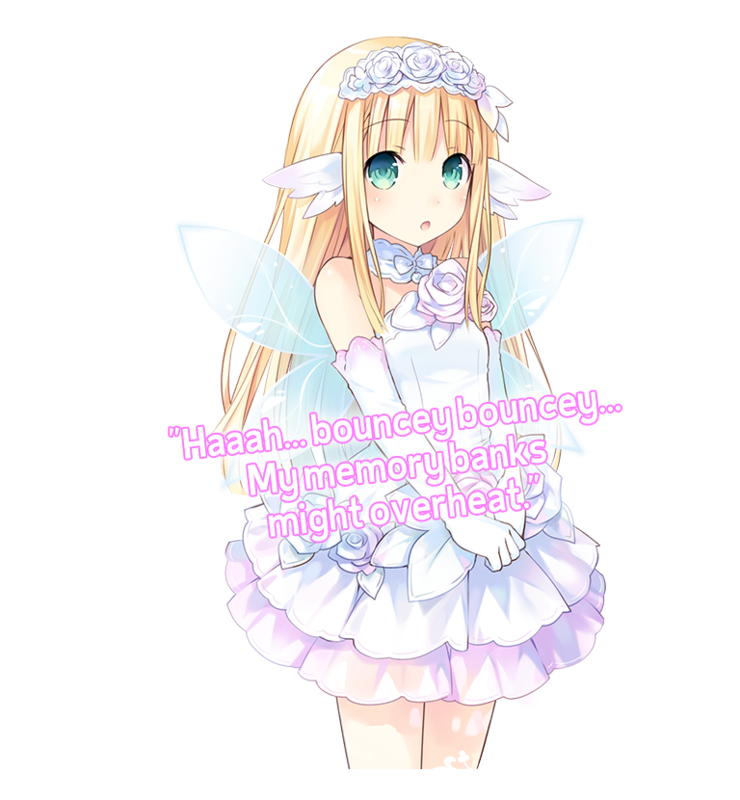 She advises adventurers on various aspects about the game. 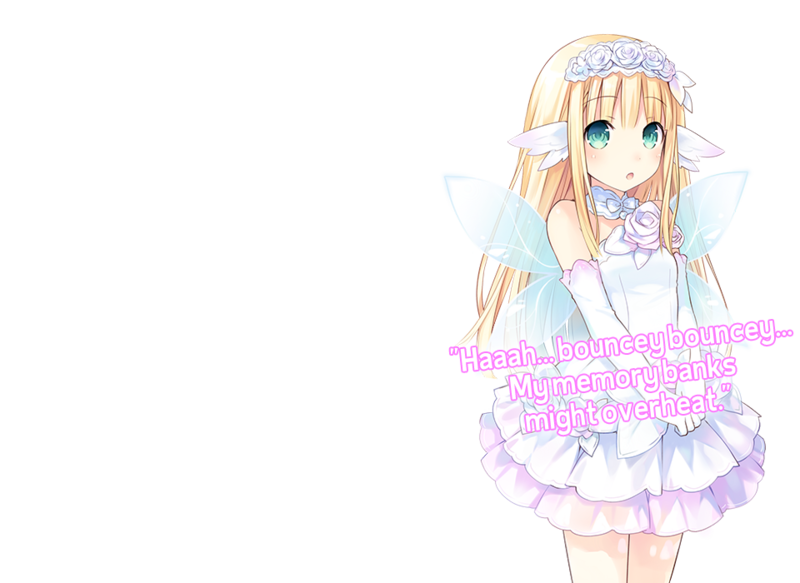 Vert, who wishes for a younger sister, fell in love with her at first sight. She's now locked onto her as a sister candidate. Focused and studious, when there's something she doesn't understand in conversation, she quickly begins research on it.